East, and Oceania as part of our International Promotions Program. 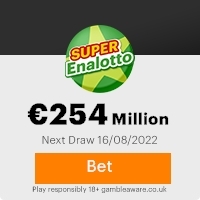 Your e-mail address, attached to ticket number 20511465463-7655, with serial number 472-9768-79 drew the lucky numbers 8-66-97-22-65-55 and consequently won in the First Category. You have therefore been awarded a lump sum pay out of $1,000,000,00 (One Million Dollars), which is the winning payout for Category A winners. Your fund is now deposited with the paying Bank.In your best interest to avoid mix up of numbers and names of any kind, we request that you keep the entire details of your award strictly from public notice until the process of transferring your claims has been completed, and your funds remitted to your account. Contact person: Mr. Gary Gunter. (International Remittance Department). Previous: CONTACT: MR. HAROLD.VA ... .SMITFresh ScamsNext: Contact Mrs. Jyotsna Field. This Email with the Subject "CONTACT PERSON: MR.GARY GUNTER FOR YOUR PRICE" was received in one of Scamdex's honeypot email accounts on Mon, 18 Dec 2006 14:38:24 -0800 and has been classified as a Generic Scam Email. The sender shows as daurice@dmaya.orangehome.co.uk, although that address was probably spoofed. We recommend that you do not attempt to contact any persons or organizations referenced in this email, as you may expose yourself to scammers and, at the very least, you will be added to their email address lists for spam purposes.